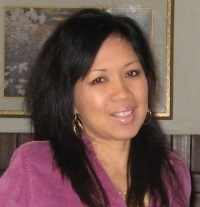 Marlene is a cross-cultural trainer and curriculum designer for cultural competency programs. A registered nurse with over twenty years of hands-on bedside nursing, she originally came from the Philippines, completed her nursing education in the U.S., and has obtained additional certifications in cross-cultural training. She is the founder and director of Culture Advantage Continuing Education and Medical Interpreter Training. Clinical nursing experience: coronary care, medical-surgical, orthopedic, intensive care, bone marrow transplant, geriatric-psych, long-term care, and case management. Locations: metropolitan U.S. East Coast and West Coast, medical centers in the midwest, and in small community hospitals. Master of Arts: Liberal Studies with concentrations in Anthropology, Communication and International Business. University guest lecturer: Intercultural Relations. Certifications in Training for International Transitions, and Cross-cultural Training in International Corporations. She is an instructor for Cross Country Education and Virginia College Online. Culture Advantage (Marlene Obermeyer) is approved as a provider of continuing nursing education by the Kansas State Board of Nursing. Rev. Sanchez is an experienced cultural competency educator, consultant and diversity trainer. She has taught ethnic studies and women's studies and presented numerous workshops and seminars. Rev. Sanchez has many years of experience in healthcare ministry. She most recently presented a series of cultural diversity workshops at Wesley Medical Center in Wichita.